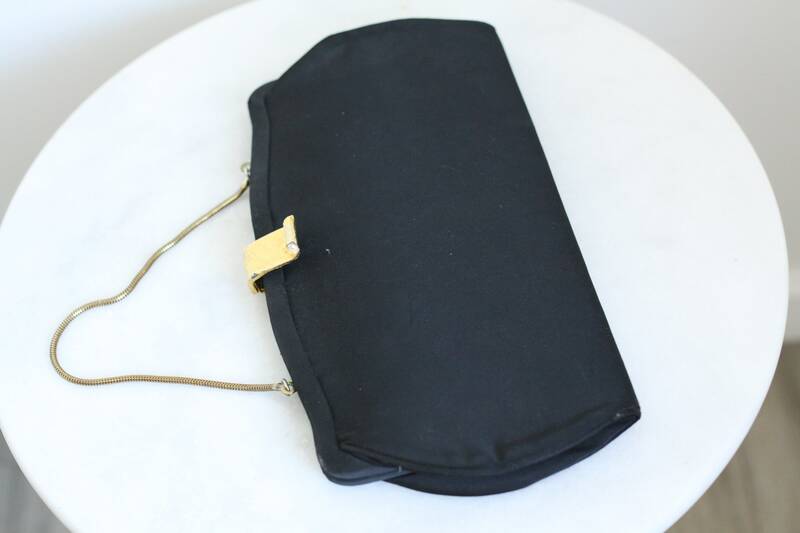 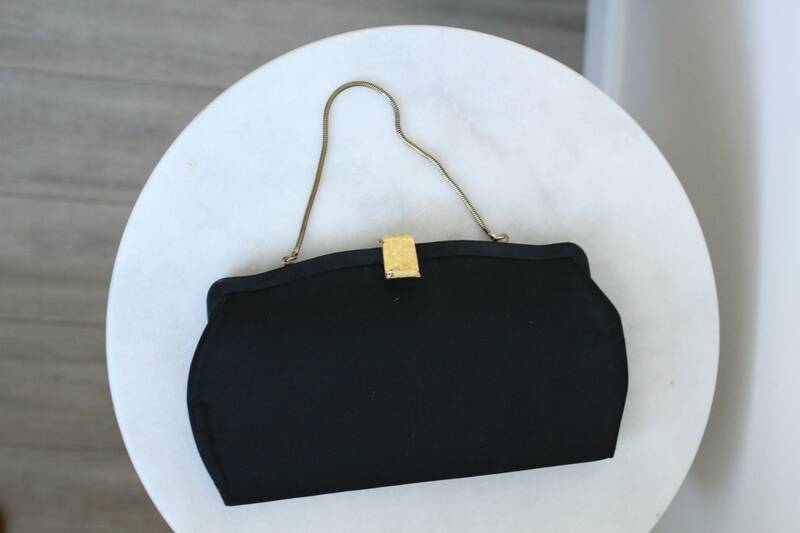 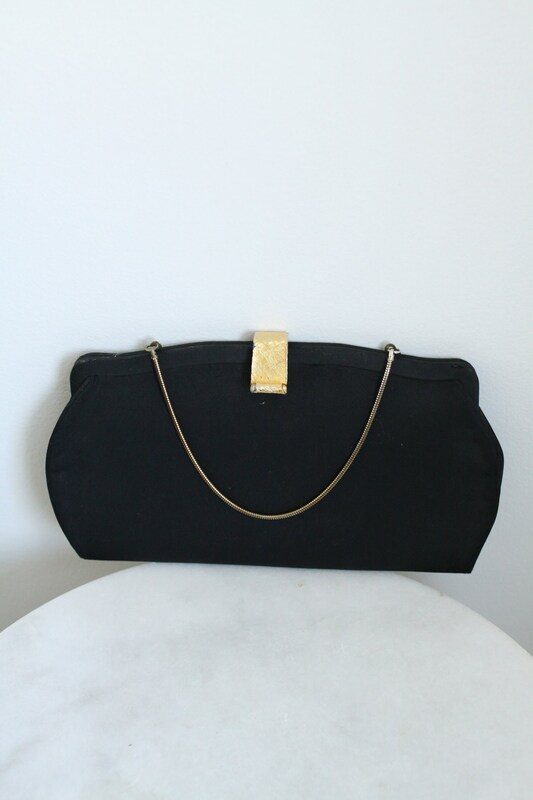 Beautiful black satin clutch purse with a champagne colored interior. 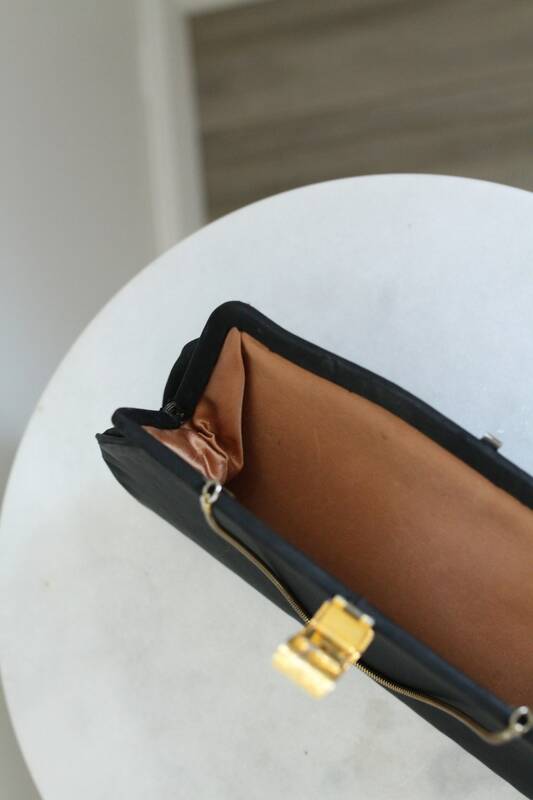 Gold hardware with a structured shape and frame. 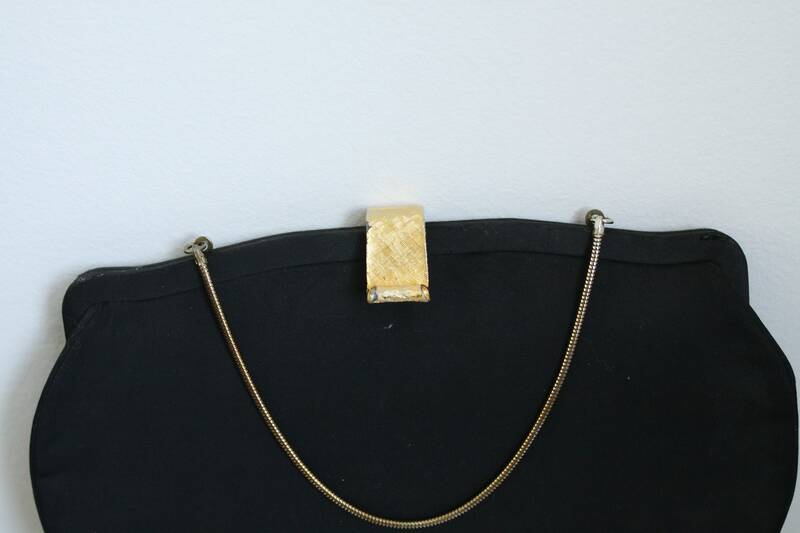 Clasp for closure and a metal chain handle.